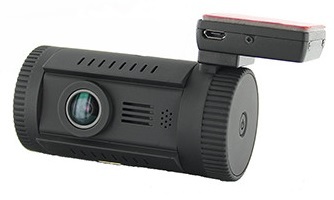 The Mini 0826 dashboard camera is one of the latest in the Mini camera series. This series of cameras have been popular sellers and always drive a lot of discussion on our forum. The Mini 0826 is manufactured by the Chinese company Skyhigh Electronics Co. Ltd. Note that Skyhigh does sell to other companies who assemble / rebrand this camera as well. The Mini 0826 is not a dramatic departure from the previous cameras, the Mini 0805 and the Mini 0806. In fact the Mini 0826 uses the identical firmware as the Mini 0805. This suggests that the camera utilizes the Ambarella A7LA50 processor and Omnivision OV4689 CMOS sensor. Video quality during the day is very good and night quality is good, recording 1296p on par with its siblings the Mini 0805 and Mini 0806. The most noticeable difference with this camera is the size and form factor. The 0826 is longer, thicker and feels more sturdy then the other Mini cameras (measures 80 x 46 x 39mm). The camera is stiff to rotate as well. The 0826 has a rubberized coating which gives it a premium feel when compared to the hard plastic used in previous models. 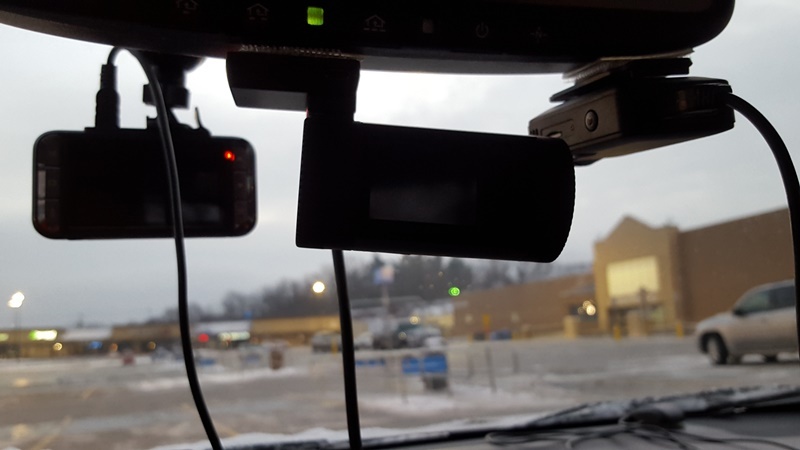 The mount is identical to the Mini 0806 mount and has GPS built in. A 1.5″ screen is included and the camera supports 1 MicroSD card (up to 64GB). Note that some models have an internal 8GB of memory as well, a useful feature if you forget to insert the SD card in the camera. The biggest question with this camera is reliability. A quick scan of our Mini Series Forum and it is clear that past reliability has not been perfect (the Mini 0805 appears to have the best reliability out of the series). The larger size of the Mini 0826 could help in this regard, particularly for heat related problems. We would like to thank a number of members who have created reviews for this camera. Click the following links to read the reviews from CheckYourLights, Sunny and VIIVIIIXIII. 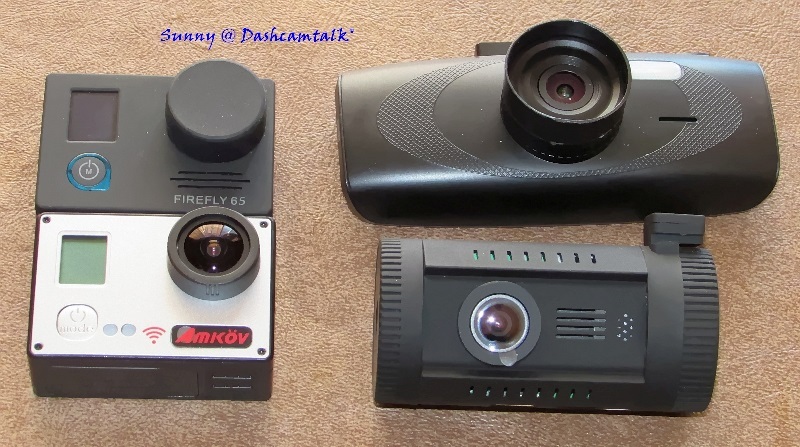 Our member Sunny has shared some pictures of the Mini 0826 with the Firefly 6S, Amkov 7000S and G1WH. One of our members has received a camera that appears to be out of focus. The video below highlights the problem and you can read more about it in this thread. Unfortunately we are not sure if this is a widespread problem or not. Disassembling the camera and manually adjusting the focus would resolve it. Our member CheckYourLights has shared this picture of the Mini 0826 mounted (middle). The Mini 0826 is not dramatically different than its predecessor the Mini 0805. Video quality is about the same but the Mini 0826 has a better quality casing. However, the Mini 0826 is more expensive, larger and reliability is unproven compared to the Mini 0805. The Mini 0826 is a decent value but overall the Mini 0805 is a better bang for the buck. To see what other owners are saying, visit our Mini 0826 Forum. Final Word The Mini 0826 is a decent value but overall the Mini 0805 is smaller and a better bang for the buck.